Khwaja Moinuddin Chisti (ra) was both a Hasani (maternal) and Husseini (paternal) Syed. His father, an accomplished man, was well-educated and trained, and a great Sufi of his time. His piety and scholarship won him widespread respect and regard, and was held in high esteem by the Sufis of Khorasan. Khwaja Moinuddin Chisti (ra) was also blessed with direct lineage to the Holy Prophet ﷺ through his mother, Umm-ul-Warah (ra) (alias Bibi Mah Noor), who was a descendant of Hazrat Imam Hasan . His great grandfather, Khwaja Syed Ahmad Husain, migrated from Samarra in Iraq and eventually settled in Sanjar, within the region of Sistan. He was also closely related to al-Ghawth al-A’zam, Sheikh Abdul Qadir Jilani (ra). It is also said that he had two brothers. “O Moinuddin you are a prop of our faith. Proceed to India and show the path of truth to the people there”. In compliance with the above spiritual command, Khwaja Saheb left Madina for India. He continued his journey, passing through Isphahan, Bukhara, Heart, Lahore and Delhi meeting several prominent Sufis of the period. He arrived at the barren and desolated land of Rajputana which is now known as Rajasthan. On his way to INDIA, he enrolled large number of people in his fold and blessed thousands of others with spiritual power. Hazrat Khwaja Moinuddin Chisty‎ رحمتہ اللہ علیہ arrived in AJMER at the age of 52 years around 587 A.H./1190 A.D., on his divine mission, unique in the annals of Islam. His only Armour for the success of his great mission was the greatest “invisible power” the pervades and sustains the whole universe. At that time Ajmer was ruled by Prithvi Raj Chauhan, the famous Rajput king. In his court, he had a large number of powerful magicians with Ajai Pal as their leader. Khwaja Saheb stayed at a hill close to Ana Sagar lake. Now known as the Chilla Khwaja Saheb. When news spread, that a very pious Dervish had come to Ajmer people began to flock to him in increasing number. Whosoever came to him, received the kindest treatment and blessing and simplicity that they began to embrace Islam. Many became his disciples. Even Ajai Pal submitted himself to the divine powers of Khwaja Saheb, gave up all his magic and became his disciple. At the age of 50 years, when he was almost settled in Ajmer and the preachings were on the top, he dreamt of Prophet Mohammed (صلى الله عليه وسلم) who said, “O Moinuddin! You have been very active in obeying ALLAH’s orders but why didn’t you follow my Sunnat.” Thus, Khwaja Sahib‎ رحمتہ اللہ علیہ made two marraiges one after another. When he woke up, he was very happy. He went to Khwaja Sahib and told about his dream. Khwaja Sahib said, “Though he is on the verge of his life and has no need to marry but obedience of Prophet Mohammed (صلى الله عليه وسلم) is also necessary, so I accept the offer whole heartedly and ready for the marriage. This made Syed Sahib‎ رحمتہ اللہ علیہ very happy and he married his daughter Bibi Asmat‎ رحمتہ اللہ علیہ with him. After achieving the objectives of his mission and complying with the command given to him by the Holy Prophet (صلى الله عليه وسلم), his noble soul left the corporeal body on the 6th of Rajab 633 A.H. / 16th March 1236 at the age of 97. He was buried in the same cell (Hujrah) which was the center of his divine activities, throughout his stay at Ajmer. Today his tomb is popularly known as “Dargah Khwaja Saheb, Ajmer”. People of all walks of life and faith from all over the world, irrespective of their caste, creed and beliefs visit this great shrine to offer flowers of there esteem and devotion. The rich and the poor stand side by side to pay their homage and respect to the divine soul. When Hazrat Khwaja Muinuddin was born (536 AH) at Chisht in Sistan, which is also known as Sajistan, East Persia. The peace of the Muslim world was horribly disturbed. 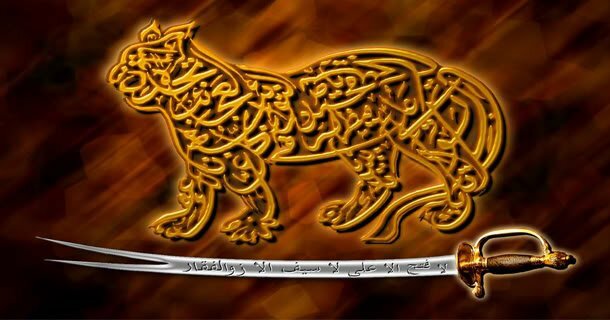 Sistan and its surrounding lands were experiencing unprecedented bloodshed and plunder at the hands of barbarous Tartars and other rebels. These intruders had taken advantage of the weak government of Sultan Sanjar. The life and honour of the people were in constant danger. The wild Tartars had completely destroyed the follower of the Muslim nation. They outraged humanity practically in all the centers of the 600-year old Muslim civilisation and culture. Hardly a year had passed after the death of Khawaja Muinuddin’s father, when the mischievous Tartars once more ransacked Khorasan and repeated the same bloody drama of murder arson and loot. This time Sultan Mahmood, one of the brothers of Sultan Sanjar, came forward to check the invaders but he too failed to rout them. Neshapur was again the scene of the same ghastly tragedies. And once more Khawaja Muinuddin was overwhelmingly dismayed to see these scenes of terrible devastation. He often plunged himself into deeper thoughts about these ugly events in order to try to come to some definite conclusion about his own future course of life. The thought of helping the helpless humanity against all such persistent pillage always tormented his tender heart. Yet they could not come to any definite conclusion. Syeda Bidi Mah-e-Noor, daughter of Syed Daud, son of Hazrat Abdulla, son of Syed Zahid, son of Syed Mooris, son of Syed Daud I, son of Syedna Moosa, son of Syedna Abdulla Mahaz, son of Syedna Hasan Musana, son of Syedna Hazrat Imam Hasan, son of Syedna Hazrat Ali Karam Allah Wajahu. Khawaja Muinuddin says he was taken to Kaaba (Mecca) in 562 A.H. from Baghdad by his Murshid, Khawaja Usman, where the master prayed for his disciple’s success and salvation. His prayer was answered by a ‘Nida’ (voice) declaring: ‘O Usman, We have accepted Muinuddin as one of our beloved devotees”. (Hazrat Sheikh Shahabuddin Suhrawardy says he was himself present in Mecca when Khawaja Muinuddin Chishti’s attendance took place.) Khawaja Usman then took Khawaja Muinuddin to Medina and asked him to offer his homage and salutations at the shrine of the Holy Prophet Mohammed. In this connection, Khawaja Muinuddin says: “I did so and heard a ‘Nida’ in response declaring: ‘Wa-alaikum-us-Salaam Ya Qutbul Mashaikh-e-bahr-o-bar’ (Peace be on you also O spiritual leader of all the saints on earth”). Upon this Khawaja Usman informed his disciple that he had now reached the stage of perfection as a dervish. All the fire-worshippers, after seeing this miracle, embraced Islam and became Hazrat Khawaja Usman’s devoted disciples. Mukhtar’s name was changed into Abdulla and the boy’s into Ibrahim after the Islamic fashion. Hazrat Usman stayed in Ray for 2 and half years and imparted necessary Islamic teachings and lessons to the new converts. Instead of the fire temple, a magnificent mosque was built in Ray which stands even to this day. Recounting another journey with Pir-o-Murshid Hazrat Khawaja Usman, Khawaja Muinuddin says, “We were on a journey, when we reached the bank of the river Tigris, it was horribly overflowing under a furious storm. I was disturbed about crossing it. Hazrat Usman understood my apprehension and asked me to “close the eyes”. I did so. When I opened my eyes after a little while I found him and myself both on the other side of the river. I reverently enquired as to how it happened? The great Murshid said, “We repeated Al-hamd Sharif (Surah Fatiha from the Quran) five times and crossed the river. According to the natural principle of “seeing is believing”, man appreciates and believes quickly a practical demonstration if he sees it with his own eyes instead of being convinced by any other kind of mere theoretical education or appeal for any good cause. There has been no greater and more sacred cause than the cause of religion in the history of mankind. Religious belief has always been a question of strong conviction with humanity, and there can be no perfect or unshakable religious belief without perfect and solemn conviction in the establishment of which nothing but miracles have played a most convincing part. Miracles, as a rule, are rare phenomena emanating from, or performed by, only those superhuman beings who are entrusted with, the sublime service of God and His creation. When man is woefully steeped in sin, he refuses to return to the path of righteousness easily, and ignores all ordinary human appeals for abstinence. He needs something more powerful i.e. some ‘supernatural’ power to convince him that sinful life was contrary to the “Divine Law” and would lead him only to an ignominious disaster and severe penalties in both the worlds if he did not return to virtue. Only divine personalities like the Prophets, Saints and Auvtaars, who have no selfish axe to grind, are capable of performing by the grace of God to uphold the cause of eternal TRUTH for the emancipation of mankind. Once a person appeared before Hazrat Khawaja Sahib and pretended to say that he was eager to pay his homage to the great saint on that particular day. The Khawaja Sahib replied “Here I am, but first fulfil your promise that brings you here”. The man began to tremble with the idea that his secret was out before he could act and, admitting his guilt, he at once offered his profound apologies. As a matter of fact, this man was a hireling of some of the enemies of Hazrat Khawaja and had come with theprecise intention of murdering the holy saint, a fact which the great saint came to know by his intuitive powers. The man prayed for the pardon of the saint who forgave him magnanimously. The men then embraced Islam and became one of the devoted `mureeds’ of Khawaja Moinuddin for the rest of his life. One day Khawaja Moinuddin Chishty was sitting on the bank of the Ana-sagar lake at Ajmer. A shepherd-boy happened to pass before him with a herd of young cows who had not yet acquired their maturity. The Khawaja Sahib asked the boy for some milk from his herd. The boy took it to be a joke and said, “Baba they are all young calf of immature age; they do not yield any milk at this age.” The Khawaja Sahib smiled and, pointing towards a young cow, said, “I would like to drink the milk of that cow, go and milk her.” The boy obeyed rather hesitatingly. When he went to milk this particular cow, he was simply astonished to find her teats fully developed and over-flowing with milk. The boy filled several receptacles with milk which 40 persons drank to their full satisfaction. He was so much impressed by this strange miracle that he became great devotee of Khawaja Sahib. One day, ‘mureed’ (disciple) of Khawaja Sahib came to him and complained, “Sir, the governor of the city has made my life most miserable by intolerable harassment so much so that today he has order my banishment from the city.” The Khawaja Sahib replied, “But where is he now, he has already been punished by God?” When the man returned to his home, he heard the news of the governor’s sudden death due to a fall from his horse while hunting. One day Hazrat Khawaja Moinuddin was passing through a street of Ajmer with his attendant Sheikh Ali. Suddenly a creditor of Sheikh Ali appeared on the scene and, holding him by his garment insisted upon the payment of his debt in a very insolent manner. Pleading on behalf of his attendant, the Great Khawaja assured the creditor that his debt would now be paid soon and requested him to let Sheikh Ali go for the time being. But the creditor would not allow the attendant to move until his money was paid on the spot. This obduracy at last invoked Khawaja Sahib’s proverbial sympathy for human shortcomings. In a state of ‘jazba’ (intense feeling) he took off his ‘Chadar’ (the wrapper which he wore) and flung the same on to the ground. And as soon as the ‘Chadar’ was flung, it was covered with a big heap of precious silver and gold coins. The Khawaja Sahib then asked the creditor, “Please take away your debt, counting honestly as much as it is due to you, from this heap but be careful not to pick up even a single coin more than what is your legitimate due.” Overpowered by greed at the sight of such a vast wealth, the creditor mischievously thought of picking up more than what was actually due to him. But as soon as he stretched his hand towards the money with this evil intention, it dried up and his arm became as stiff as an iron rod. The creditor and the onlookers were wonder-struck at this awful experience. Realising his guilt, the creditor fell at the feet of the great saint and begged for mercy. The Khawaja Sahib accepted the man’s apology with his characteristic benevolence and prayed to God for the restoration of his arm to its normal condition. “The seer by devotion and contemplation, prepared himself for the duties of Guide and Leader to mankind but when there comes the clear call, he must stand forth and proclaim the Message, in purity unselfish devotion and patient long suffering; to save men the distress of the Final Day. For Manu there be who glory in life of ease and plenty. arrogant splendour and the applause of men who scorn God’s Truth and reject the divine. How will they fare when the Judgement come, and the penalty? Every fact in life’s pageant is but a portent for the future. Every soul is in the pledge and must redeem itself by Faith, Prayer, by Charity and earnest care for the Realities of life. Bring but the will, and God will guide-the Lord of Righteousness, the Lord of Mercy and Forgiveness. “(Quran: LXXIV: C. 254 by Abdulla Yusuf Ali). 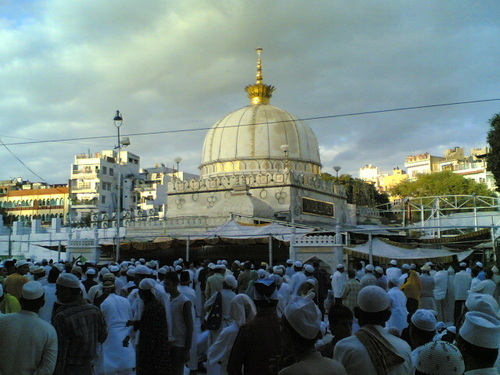 Hazrat Khawaja Moinuddin Chishty arrived in Ajmer at the age of 52 in 587 AH or 1191 AD on his divine mission, unique in the annals of Islam and also in the history of India. As we have seen, for the success of his grand mission he had already been suitably trained by his Pir-o-Murshid Hazrat Khawaja Usman Harooni and divinely equipped by the blessings of the Holy Prophet Mohammed. He was thus an apostle of God dedicated to the cause of Truth which “always and invariably prevails though in the long run.” His only armour for the success of his great mission was that greatest invisible power that pervades and sustains the whole universe. Again and again through all successive ages, the apostles of God have successfully fought and defeated the forces of evil. Prophet David succeeded in overthrowing Goliath. Prophet Abraham survived the torture of a huge fire made by Namrood to destroy him but it turned into a garden of fragrant flowers and Namrood himself was destroyed by a gnat. Shree Ramchandra, the exiled but dutiful son of Raja Dashratha secured a mighty victory over Ravana the demon king of Ceylon, in righteous cause. In spite of all torture, the Holy Christ and his religion did survive even after his crucifixion and the Holy Prophet gave noble lessons of Christianity to the world. Prophet Mohammed was tormented by Abu Jehal and Abu Lehab with superior forces but he succeeded triumphantly in the end with his grand religious mission. The whole history of the world is replete with such illuminating and noble examples of the success of ‘Truth’ against evil and repeats itself again and again. Whenever and wherever there is a struggle between Truth and falsehood the former is ultimately a victor. Raja Prithvi Raj of Ajmer unfortunately adopted a false policy of arrogance, persecution and insult against a harmless dervish and had to go down before the divine dispensation of the Almighty God. Whenever the ‘Divine will’ ordains to inspire a band of righteous people to work as “Torchbearers of Truth” to a corrupt humanity, there never fails to appear a band of those diehards who pitch themselves in deadly opposition to inflict on the victims all sorts of tortures and troubles. Truth and Righteousness come out all the more shining when tried and tested by hardships and such a period of adversity cannot also fail to bring out the best character in the martyrs, their patience fortitude, humiliation unflinchingly faith, etc. In fact they live if they can for the Truth and die, if they must for the Truth. Moral perfection can be attained and moral virtue can reach their highest standard of persecution. And the ultimate success after fighting against odds, goes to prove beyond all doubt how the “Divine Movement ” and the Divine help and guidance work behind it. Their severe trials are so to say, a blessing in disguise. In the furnace of trials and persecution the one of character becomes burnished gold. Adversity and hardships bring out some of the finest qualities in man. They either make of him an everlasting character, the light which shall shine always and everywhere or reduce him to nothingness and oblivion. Therefore those who aspire after success must be prepared to tread the road of hardships and trials. It is a historic fact that Hazrat Khawaja Moinuddin Chishty was the greatest preacher and founder of Islam in India. It was he who laid the real foundation of Islam in India by his peaceful mission and unparalleled forbearance. He brought the message of ‘Universal Love and Peace’ and paved the way for his succeeding Khalifas for the peaceful propagation of Islam in this country without any compulsion whatsoever in the true spirit of the Holy Quran which says, “Let there be no compulsion in religion. Wilt thou compel men to become believers? No soul can believe but by the persuasion of God.” Khawaja Moinuddin followed this dictum through out his mission. Before his arrival, Muslims in India were in a most negligible minority. His piety and sympathetic preaching made a profound impression upon all he came across. The invasions of Mohammed-bin-Qasim and Sultan Mahmud of Ghazni contrary to general belief, did little or nothing for any real or permanent promotion of Islam in India. They were more or less military campaigns for the economic exploitation like the British and bear no comparison whatsoever with the grand mission of Hazrat Khawaja Moinuddin who did wonders with his peaceful preaching of Islam in this country. He did not bring any armies with him but came with only a few companions; he feared none on earth except Allah. He did not come out to conquer the wealth of India, he came out to endear and win the hearts of Indian people by free conviction in order to put them on the right path of “Truth and Love” and thus give them happiness and prosperity in life and salvation after death. Here was the God’s chosen man for a particular mission at a particular period of history Khawaja Moinuddin had renounced the world at an early age and braved self-imposed mortification and contentment when he could have easily lulled himself in a luxurious life on the rich traditions of his illustrious family. But, like all other great prophets and redeemers of the oppressed world his heart ached at the persecution and suffering which the barbarous man perpetrated upon his innocent fellow beings. Here was the man of destiny who was a penniless and friendless orphan when he renounced the world and left Neshapur in quest of education. And yet by exemplary self-denial and diligent industry, he was able to obtain the highest moral and religious training at the leading institutions of Samarqand and Bokhara. The ‘Karamaat’ or miracles, which formed a most prominent part of Khawaja Moinuddin life and mission, have always been intimately associated with the lives of other Sufi saints and Hindu seers in the East. As a matter of fact, miracles emanate from the supernatural powers bestowed upon these holy persons by God as the result of their life long devotion, probation (Mujahedas) and trials, and are beyond the scope of common conception of ordinary human beings, their experiences and knowledge. Modern science and logic have no place in the ‘hidden’ calculation and determination of miracles. They are displayed only when there is a great emergency to justify them. In fact they are used as a `last remedy’ when all other common sense persuasion failed to convince the devil in man or the teachings and principles of the divine doctrines of Truth or the laws of God, in order to maintain a harmonious equilibrium among mankind in the “Divine Scheme of God.” so essential for the happiness of His creation on earth. 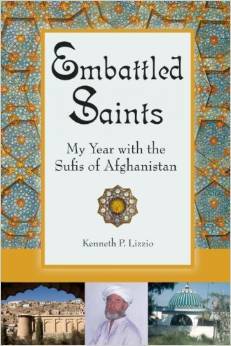 Highly talented and enlightened Sufis and seers are extremely few and rare in this age. They are ranked as Walees in Muslim terminology who as the lives of Khawaja Moinuddin and others of his most distinguished order prove, were obliged to use their supernatural powers to meet the circumstances of each situation strictly in accordance with the divine law and will in the cause of Truth and nothing else. Round the Anasagar lake where the Khawaja Sahib’s party was camping there were many temples. The followers of the saint used to draw water and sometimes catch the fish also from this lake for their food. The Brahman priests of these temples naturally remonstrated against this and reported the matter to the Raja who ordered immediate removal of “these Muslim fakirs” from the place. The servants of the Raja not only demanded Khawaja Sahib’s movement from this place but also asked him to leave Ajmer at once, and this demand was made in very insolent and unbecoming manner. But it was impossible for Khawaja Sahib to agree because he was there by the will of God and the command of his Holy Prophet of Islam. When the rude crowd of Brahmans tried to mob and molest these innocent fakirs with the ultimate intention of murdering them the Khawaja Sahib only threw some dust upon them which forced them not only to shrink back but caused the loss of their senses and vitality also. The priests had carried the news of palpable miracles to Raja Prithviraj who naturally got furious in spite of his mother’s warning to control his temper. She reminded him calmly of her 12-year-old prophecy about the entry of a fakir in his kingdom and warned him to treat the dervish with restraint if he wanted to preserve his kingdom. But the warning did not pacify the Raja. He lost no time in summoning one of his most trusted councilors, Ajaipal, (who was also his spiritual ‘guru’) for an urgent conference. Ajaipal was recognised to be the greatest exponent of the sciences of black art magic and witchcraft, astronomy, astrology, and the like. He also expounded these sciences to many hundreds of his chelas (disciples). When he heard the news of Khawaja Sahib’s miracles, he assured the Raja not to worry at all and informed him that this fakir was only a fake juggler of occult sciences and that he would turn him out of Ajmer without any difficulty. He advised Prithviraj to go to the fakir with his bodyguard, promising to follow him very soon with his own army of chelas and the necessary paraphernalia of his witchcraft etc. to meet the emergency. While on his way to Khawaja Sahib, Prithviraj fired by his lingering wrath, thought of hurting the saint terribly but as soon as this evil thought occurred, he lost his vision and could not move forward. But when he recollected his mother’s pacifying warning to treat the fakir reverently his heart suddenly softened and he regained his eyesight. By the time he actually appeared before the saint, he had such miraculous experiences no less than 7 times. At last when he reached Anasagar, he was encouraged to see Ajaipal also arriving at the spot in time with his promised troop of disciples. Ajaipal immediately started one of his magical attacks upon the unarmed and peaceful saint whose few followers got frightened for a while. To ward off their fear, the Khawaja Sahib asked them to draw a circle on the ground around their party for protection against Ajaipal’s magical attacks which produced horrible scenes. First of all, Ajaipal made a violent attack through a whirlwind of “chakras” (a sharpedged disc that terribly revolved in the air and cut everything it touched). But instead of harming the Khawaja Sahib and his party, these hundreds of Chakras, whirling violently in the air only reacted back on Ajakpal’s own men and caused no harm to the saint’s party. The attacks which followed were more dreadful than the first. But these could do not a bit of harm to the small party of God’s innocent fakirs. On the contrary, they did a lot of damage in the ranks of Ajaipal’s men. Having lost his battles, Ajaipal now embraced Islam, and became one of Khawaja Sahib’s devoted disciples. He now requested the saint to show his unique position in the realm of the spiritual world as promised by him and wonderland of the 7th heaven through Khawaja Sahib’s spiritual powers which had no limit. Amazed at the wonderful powers of Khawaja Sahib, Ajaipal aspired to have an ‘eternal life’ so that he could gain time to seek God’s pardon for his past sins. He begged the saint to have this wish fulfilled and the Khawaja Sahib did pray to the Almighty God accordingly. The prayer was granted on the condition that Ajaipal’s spirit will remain immortal only for the service of mankind, although he will not be seen in his mortal form which must decay in due course of time under the unchangeable Divine Law. Although Ajaipal died in 694 AH and cannot be seen in his mortal form but his immortal spirit, according to a legend exists for the service of humanity even to this day. This immortal spirit is known as Abdulla Bayabani, a name given to him by Khawaja Shaib. The political scenario of India, before Hazrat Khawaja Muinuddin’s arrival, was such that he had to face insurmountably difficulties against all sorts of opposition immediately after his arrival in Delhi. It was not Raja Prithviraj alone who stubbornly resisted the entry and stay of Khawaja Sahib of Ajmer. In the preceding centuries also when Muslim visitors came to India and endeavoured to spread the light of Islam, they had to encounter tough opposition in various forms. As the early Muslims did not come with a missionary zeal or the spirit of a ‘world movement’, the ephemeral success of Islam was short-lived because they came to conquer and exploit the land. Moreover, the original impetus of the Islamic movement had been spent out when the Ghaznavi, Lodi and Ghauri conquerors tried to establish their rule in India. But Islamic history records in golden letters that the everlasting spirit of Islam was instituted in India only by Khawaja Muinuddin Chishty and no one else. While the early Arabs were true representatives of Islam, the latter Muslims from the North were actuated to conquer the Indian States and not the hearts of the Indian people. The Khawaja Sahib had no armies and did not come to conquer any Indian territory he conquered the hearts of the Indian people, a grand spiritual victory that must stand high among all the political victories of the world. No single person has ever performed such a marvelous miracle. It was the ” Will” of God. To achieve such a unique victory a new approach was necessary and this was given by Khawaja Muinuddin’s mission and was altogether different from all previous and subsequent attempts. He did not come to India with the object of political exploitation or rule. He came to deliver the simple message of ” Peace and Love”. As enjoyed by Islam as a God’s missionary with a view to endear the hearts of the Indian people for a world movement. And he succeeded triumphantly because of his own inherent spiritual strength and the characteristic qualities of Islam in spite of all the bitter and mighty opposition. There was thus a great difference between Khawaja Sahib’s pious mission and the peaceful way of his approach and the ways of the other Muslim conquerors or invaders who came to India before or after him. History shows that in the early period of Islam (34 AH to 400 AH) or long before Khawaja Sahib’s mission, Islam had already reached India through the Arab traders and travelers who used to visit the western coast. In 200 AH. a Raja of Malabar is also reported to have embraced Islam. Prior to this, Sind had already been conquered in 93 AH by one of the emissaries of the Caliph of Islam. Later on, with the increasing Islamic influence in Malabar and the simultaneous rise of Rajput power in Northern India, the Islamic influence had faded gradually in the north. In any case the Indian rulers of that time were not unmindful of the incursions of Islam in India and had continually been trying to check its influence in this country. After the death of Sultan Naasiruddin Subuktagin, Raja Jaipal thought he had great chance of conquering Afghanistan. In 1001 AD he therefore, attacked again but was defeated and arrested for the third time near Peshawar by Sultan Mahmud, son of Subuktagin. Jaipal repeated the same old story of regret and he once again succeeded in securing his release. But the moral affect of his three consecutive attacks and defeats was so heavy upon his self-respect this time that he burned himself alive in a ‘Chita’ (pyre). After Raja Jaipal’s death his son Raja Anandpal succeed him. He proved to be a haughtier ruler than his father. Fired by old vigilance and hatred, he made an appeal to all his brother princess of India to unite and support him in a crusade against Afghanistan’s ruler in the name of ‘dhun, dharam and dharti’ (wealth, religion and land). On this propaganda, a very large army relied under his banner and he started in 1003 AD via Peshawar to invade the territory of the Sultan of Ghazni. Mahmud Ghaznavi was thus forced to defend his country again and fought a furious war for 40 days. Anandpal was defeated and his allies deserted him to be captured and brought up before the sultan. But the same old story of regret was repeated once more. Like his father he also begged the Sultan to forgive on promise of paying a ransom and the Sultan did set him free. Whatever may be the verdict of historians against Mahmud Ghaznavi’s 17 notorious invasions of India, the above historical facts of the repeated attacks against him and his father should not be overlooked by all impartial observers when Mahmud is accused for his intermittent invasions of India. The Sultan had no other alternative to safeguard his own kingdom except adopting the policy of a curious strategy of a campaign of regular invasions over India form 1003 to 1026 AD in order to keep his adversaries at bay, and in a state of constant confusion and insecurity. This was his defensive policy. Just before Khawaja Moiunddin’s arrival in India in 1191 AD this country was divided into various smaller states which were ruled by different Rajput clans. Rajputana was under the Sisodia Rajputs of Mewar, Ajmer was ruled by the Chauhans. Delhi was under Tomars, Kanauj was ruled by Rathors, Gujarat by Baghelas, Bundelkand by Chandellas and Bengal and Bihar by Paul and Sen dynasties respectively. Among the above principalities, Kanauj and Delhi were most powerful but there existed a bitter enmity between Raja Prithvi Raj (ruler of Ajmer and Delhi) and Raja Jaychand Rathor (ruler of Kanauj). They were cousin brothers by blood relation. Raja Anandpal of Delhi was their grandfather on maternal side. Jaychand was the son of Raja Anandpal’s elder daughter and Prithviraj was the son of his younger daughter. Raja Anandpal had no male issue. At the time of this death, he nominated Prithviraj as his heir and successor to the throne of Delhi as he was both brave and handsome. This naturally enraged Jaychand who, by virtue of being the son of the elder daughter of Raja Anandpal, claimed to be his rightful heir and successor to the throne of Delhi. Emperor Prithvi Raj was the last Hindu Emperor of India who ruled over a mighty empire from Taragarh Fort of Ajmer and Delhi. He enjoyed the unique distinction of being the “flower of Rajput chivalry and human beauty” of his time. His famous bard, Chand has described his heroic exploits and romantic career in “Prithvi Raj Rasa ,” a very rare but historic documentary on the contemporary history of Rajputs in India. Apart from the 4606 recorded and unrecorded ‘Karamaat’ or miracles emanating from Hazrat Khawaja Moinuddin the choice of Ajmer for the center of his spiritual mission was itself a most remarkable feature of his illuminating work in India. It was not the work of any human brain or ingenuity, but it was indeed the result of a “divine decree” from Medina or the Holy Prophet of Islam that suited the great saint’s mission so admirably from every conceivable point of its vantage. Politically Ajmer was the pivot of a mighty kingdom that swayed over the most prominent part of India. Geographically it was the heart of India from which the life blood flowed through all the vital veins of the country and socially and economically it was at the zenith of Hindu superiority and power during the time of Khawaja Sahib’s arrival in India. There could, therefore be no other suitable place for the seat of his spiritual mission and to pilot the movement of Islam in this country. In short, it was an ideal center from every point of view to conduct one of the toughest encounters between the forces of materialism and spiritualism the world has ever witnessed in which the latter as always, triumphed over the former by the infinite grace of God without recourse to any kind of armed conflict, pressure or coercion.